From time to time we are made aware of neglect or abuse occurring in an aged care facility. 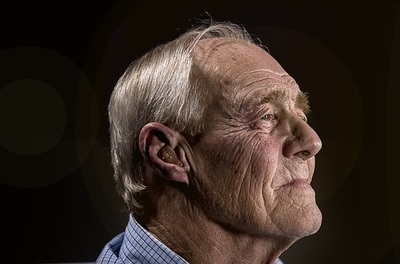 These events may be sensationalised in the media, making it seem they are happening everywhere and that any aged care facility is a depressing place to spend the end of your life. Bad things can happen but there are also many places where the staff ensure the standard of care is high and the residents are treated with respect. There are advantages for an aging person’s wellbeing to live in such accommodation. There are numerous names for an aged care facility. Other terms include nursing home, aged care home, rest home, old folks home and old age home. Why do some have a negative view of aged care facilities? They have had a negative experience. They are thinking of an experience decades ago when standards and regulations were lower. They haven't been directly involved with an aged care facility and are making assumptions. They are simply repeating what they have heard from others or the media has reported. When there was a problem they didn't follow up the complaints procedure to try to find a solution. If staff don't know there is a problem they can't do anything about it. 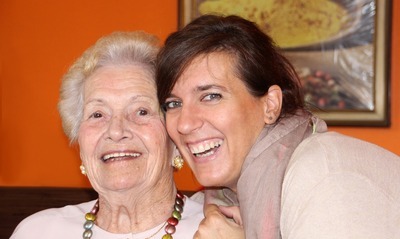 Aged care facilities vary and some are extremely good. No, I am not employed in the aged care field but I have a family member who has recently moved into an aged care facility. I am impressed by the high standard of the rooms, the nursing care, lifestyle options, communication channels and the outside gardens. As a family member I am encouraged to visit regularly, communicate any concerns and am made to feel very welcome. Most people like to remain living in their own home as long as possible. Making the transition into an aged care facility can be upsetting and can make the aging person anxious. After living in the same home for many years, building up a collection of happy memories and enjoying independence the thought of change can be overwhelming. The person may have little idea of what to expect when they move and they feel unable to face the transition. Bearing in mind the services offered and the standard will vary from one facility to another, there can be numerous positives to moving into an aged care facility. Medication is administered in accordance with strict guidelines. , The risk of a dose being missed or taken twice is minimised. Also the risk of taking medications which shouldn't be taken together is minimised. Safe environment. Staff do regular risk management audits to minimise the risk of residents falling, tripping, ingesting something which is poisonous or harming themselves in another way. The facility is locked at night to prevent intruders. Plenty of company. Even if the resident does not have regular visits from family or friends they will have the opportunity to make friends among the other residents. They will have frequent contact with staff throughout the day. Medical aid is available 24/7. Staff will have first aid training. A registered nurse will be on site. Any wounds or signs of ill health will be monitored. A doctor or ambulance can be called if necessary. Whereas a person living alone may lose consciousness due to illness or have a fall and not be found for days there are always staff on site in an aged care facility. Access to podiatry, physiotherapy and other allied health services on site. Regular massage to help with health issues may be available. Additional services may be available at an extra cost. Some have a modified gym for activities suitable for keeping residents mobile. Trained staff can set up an individual program. Some allow visits from pets. Some have a dedicated dementia wing to provide for the specific needs of the person with dementia. In some areas there is a choice of aged care facilities. In other places, especially rural areas, little or nothing is available. The criteria for entry to an aged care facility varies from place to place, as does the standard of care. The services and amenities offered will vary with the facility. The cost and how payment for services is arranged differs. Okay, at times mistakes can occur. However good management will minimise the likelihood and there will be measures in place to deal with any errors that happen. In spite of police checks on staff, not all will be of good character. But accidents and various forms of elder abuse can happen in the family home too. 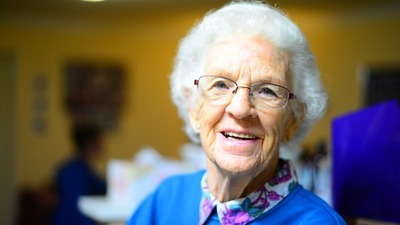 In spite of the bad things we hear through the media there can be numerous advantages to living in an aged care home once a person is unable to live safely in their own home.